Bronze 56k, known for their wild cut-and-paste edits (courtesy of Peter Sidlauskaus) is the latest in an impressive line of Reebok Club C redesigns. Two years ago, Reebok teamed up with Palace for a Club C reworking, and last year Kendrick Lamar laced up his own limited edition pair. 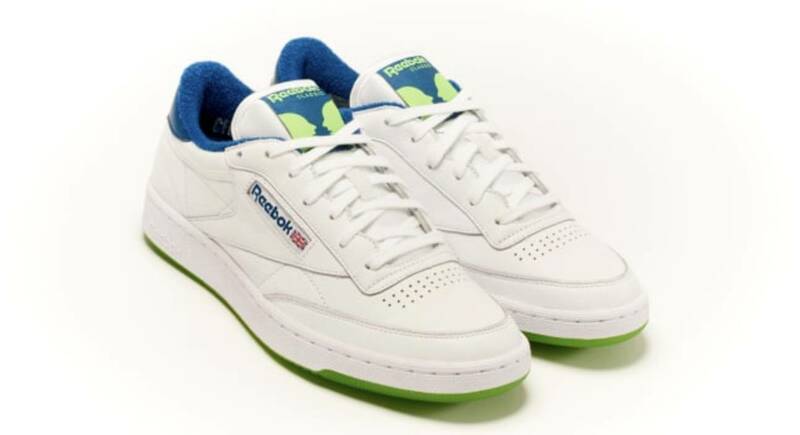 The Bronze 56k x Reebok Club C keeps the brand’s appreciation for a retro aesthetic intact with a nice white/blue/lime green colorway and an all-leather upper. 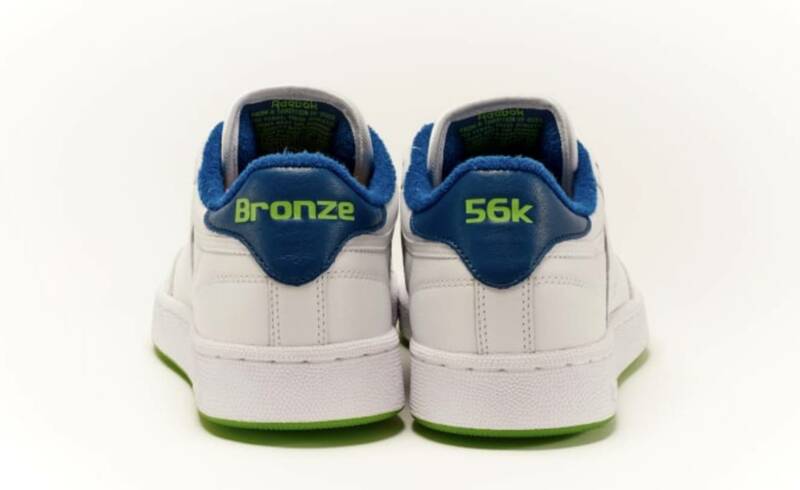 The “Bronze” and “56k” stamps on the heels are a nice touch, too.